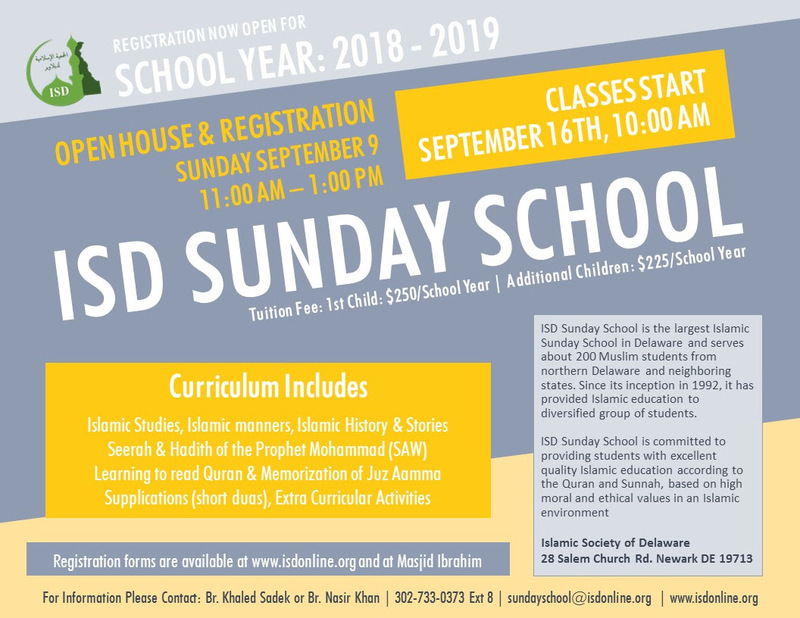 Islamic Society of Delaware Weekend School started on Sunday September 16th. School registration is still open for new and returning students. Registration forms are also available online at www.isdonline.org and at Masjid Ibrahim. New students will be assessed for placement into a grade level. Sunday School also offers a Youth Program for Youth 14 and above This is an interactive program which allows teens to actively participate in discussions and learn under the guidance of qualified instructors. Students of the Youth program will also have opportunities to be involved in Community and Welfare activities. Students of the Youth program will also have opportunities to be involved in Community and Welfare activities. 1. Parents or a guardian will need to complete the registration and medical form, pay the tuition and sign the liability waiver before student is admitted to the school. 2. All new students entering the school for the first time must take an initial assessment test prior to start of the school year to identify his/her class level at ISD Sunday School. 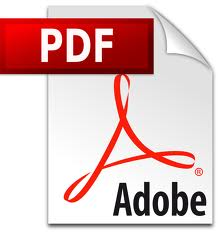 Please download the following Forms and return it to Sunday School with the appropriate tuition fee. It is important to know that ISD Sunday School is solely supported by your tuition and generous donations towards the future of our next generation. A. Fees are due at the time of registration, on the first day of school. At the Sunday School, we strongly believe that the school can only be successful if we have the support and involvement of parents. Parents play an invaluable role in the triumph of their children. Thus, it is vital to maintain consistent communication with the principal and teachers regarding your son or daughter's progress and your thoughts on their advancement. ISD Sunday School staff and teachers are available at Masjid Ibrahim every Sunday during school hours (appointment recommended) to discuss your concerns or share thoughts. • All students are required to wear clean, neat and well-pressed clothes. • Clothes must cover the body loosely without being transparent, revealing, or tight. • Girl’s clothes should not expose the legs. • A head covering for girls is part of the Islamic dress uniform. • It is not appropriate for students to wear clothing that has words or pictures displaying offensive themes. All parents are requested to park their cars legally in the parking lot and come into the multipurpose hall to drop off their children. Please DO NOT park your car in the Fire Lane or in front of IAD Circle. Please DO NOT drop off the children outside the Masjid. It is not safe for children to be unattended and walk cross the parking lot while other cars are arriving.